About Sweet Cheeks Soap Co. Pink Sugar soap is probably my all time favorite soap and it is my best seller hands down. The scent is reminiscent of the soft scent of cotton candy with a hint vanilla. 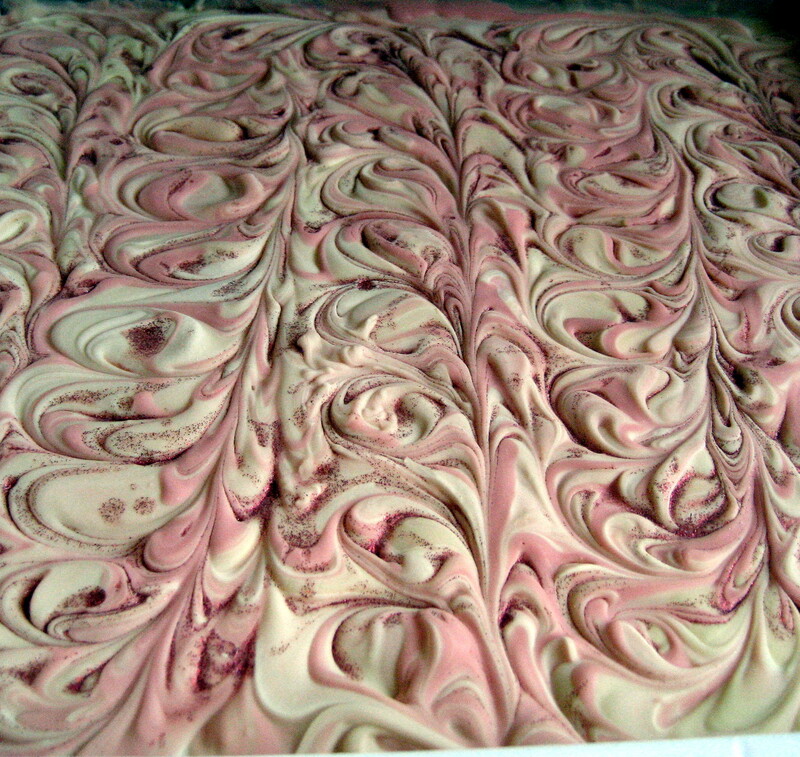 Today I made a batch for an order, it is a little tricky to work with since the fragrance oil will turn the soap brown. Using titanium dioxide will help lighten it up to a light tan. 20 oz of rice bran oil, 10 oz of pomace oil, 17.8 oz of coconut oil, 15 oz of palm oil, 3.75 oz of apricot kernel, 1.9 oz of cocoa butter. Colorant- blood red, titanium dioxide. Water was a chamomile tea infusion, lye. There is no excelleration using pink sugar fragrance oil but it will turn a very dark brown unless titanium dioxide is used. I used the soapmaker calculator to create my recipe using a lye discount of 4% and an 8 1/2% water/tea discount. 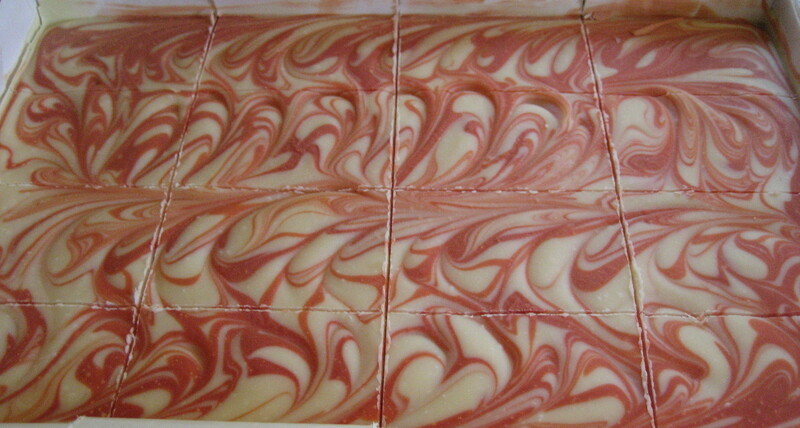 The second batch I made today was scented with a fragrance oil called Energy and swirled with an orange soap base. Energy fragrance smells of a high energy of a combination of citrus oils, it reminds my of sunshine and citrus. Below is a picture of the cut soap in the mold ready to be unmolded.